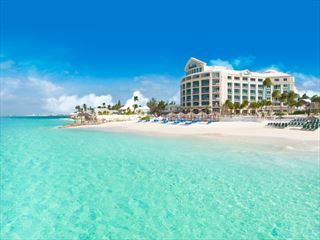 Take your stay in the Bahamas to another level as you enjoy the beauty of two different Sandals resorts in one holiday. Sandals Royal Bahamian and Offshore Island is considered to be the most elegant resort in the Bahamas with sandy beaches and crystalline waters embraced by tropical gardens and with its own island with restaurant, pool and zen spa. Located on Nassau’s renowned Cable Beach.